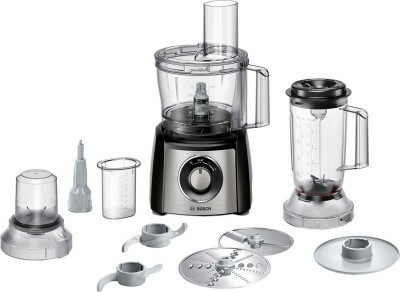 Body The solid design with smooth curves adds to the functional aesthetic of this stylish food processor. 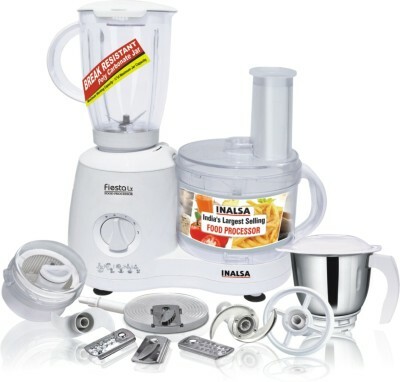 With certain parts being built out of polycarbonate material, this food processor comes with 3 jars - the liquidizing jar, the stainless steel grinding jar and the chutney jar also made of stainless steel. 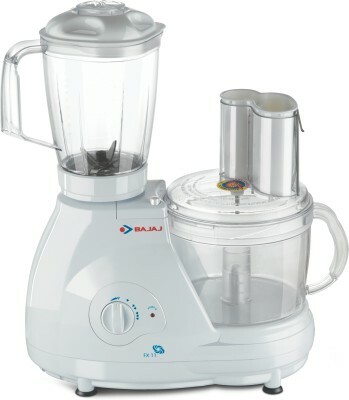 The many detachable blades bundled with this device are the dry grinding blade, the chopping blade, the slicing blade and the chutney blade, all made of stainless steel. 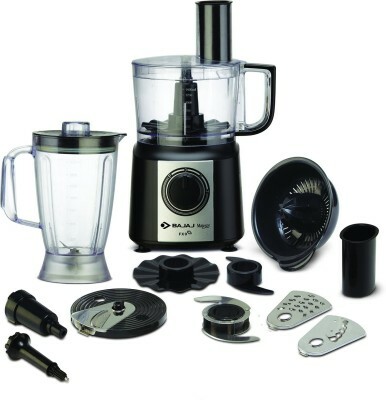 In addition to these basic blades, it also comes with kneading, shredding, French fries and coconut scraping blades. 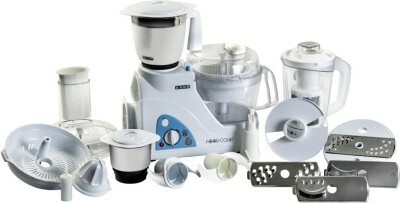 The appliance is designed with a three-speed control for ease of use. 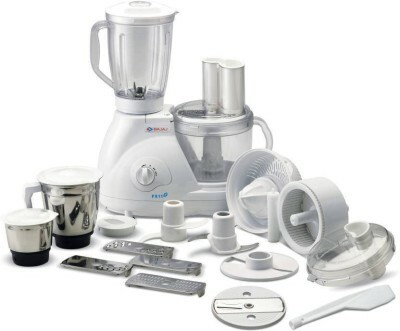 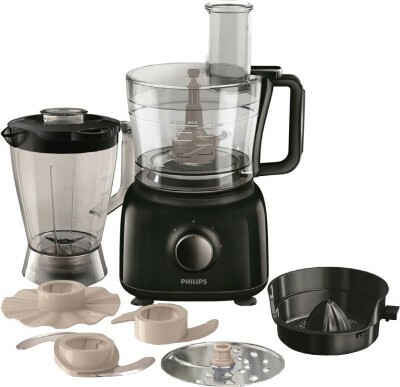 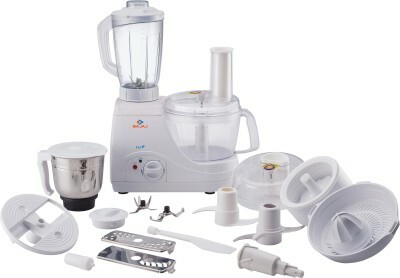 Functions Apart from the standard functions of grinding, juicing and kneading, this versatile food processor also provides numerous additional functions such as kneading, scraping, chopping, shredding and slicing. 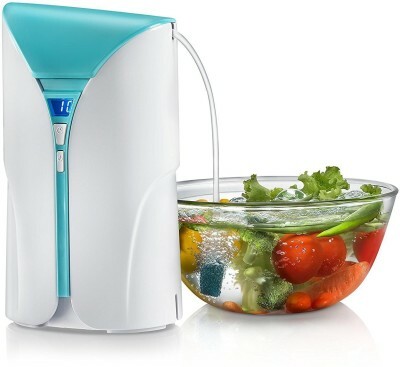 Additional Features The appliance is made of an unbreakable polycarbonate processing bowl for better endurance. 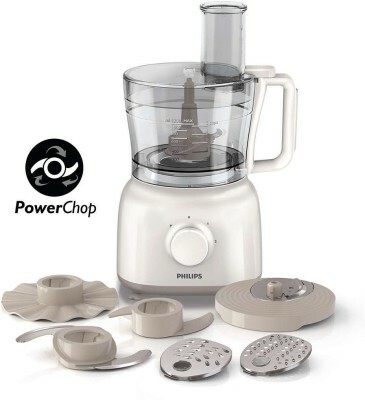 Power Consumption This food processor consumes a maximum of 600W of power to function efficiently.